Jennifer graduated from the Center for Natural Wellness School of Massage Therapy in Albany, New York in 2014. 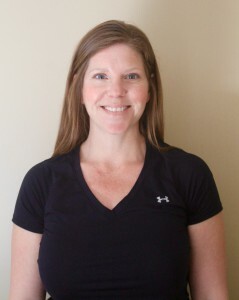 She was trained in Swedish and sports massage, neuromuscular therapy and myofascial release. Believing that massage can heal the physical body and deepen the mind-body connection, Jennifer focuses on improving her clients’ range of motion and helping them achieve deep relaxation and relief from pain and stiffness. It is her belief that massage therapy is both an art and a science and she tailors each session to the specific needs of her clients. Jennifer’s community service has included volunteer massage therapies for hospice patients, their family members and hospital staff at a local hospital and post-event sports massage to marathon runners. In addition to massage therapy education, Jennifer has an Associates Degree in math and science and was a compounding pharmacy technician for several years. She is a yoga and biking enthusiast. Most importantly, Jennifer is committed to her personal growth and continuing education as a massage therapist and to working together with her clients to promote their education and participation in this powerful healing process.